Fieldwork is a national market research and focus group company, headquartered in Chicago for 30 years. LSA was tasked with redesigning their original downtown headquarters and focus group facility on a 13,000 SF floor of a landmarked Mies van der Rohe tower at Wacker Drive and Michigan Avenue. 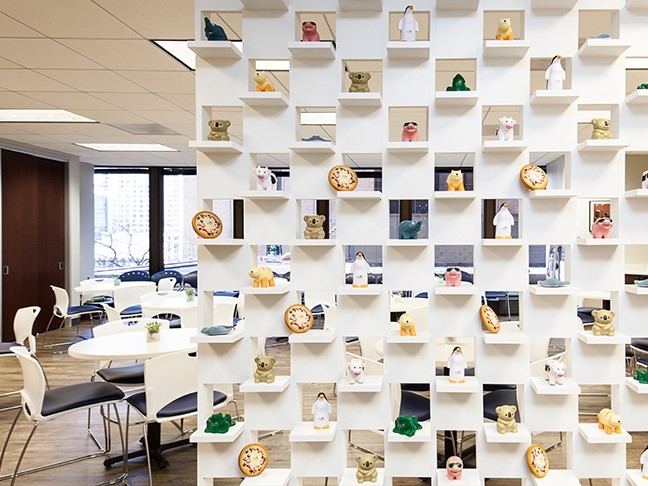 The 20 year-old partitioned office interior was re-imagined as open, overlapping zones for their network, IT, and management teams to better suit their current worklife culture. 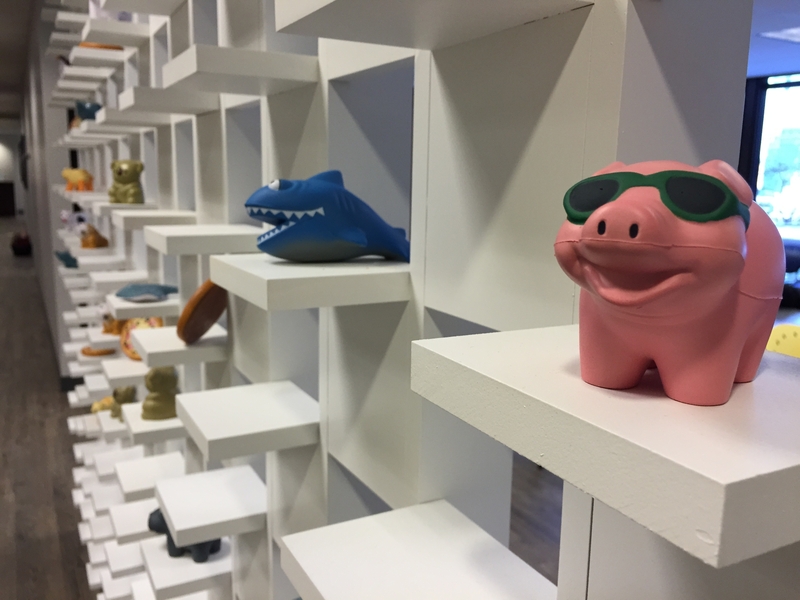 LSA created a custom “critter” wall to display the Fieldwork brand’s mascots, and also screen the respondent areas from the entry.